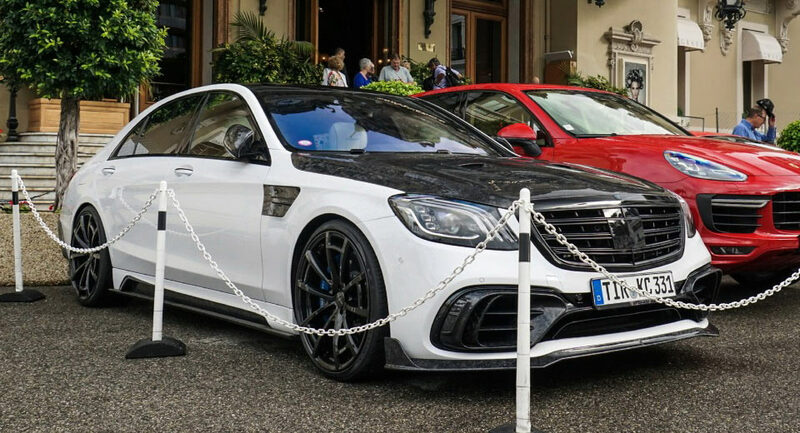 The Mansory S63 Signature Edition was presented alongside several other tuned vehicles in Geneva earlier this year, boasting a more aggressive exterior, a heavily customized cabin and 710 PS (700 HP) with 1,030 Nm (759 lb-ft) of torque. In stock form, the facelifted S63’s new 4.0-liter biturbo V8 unit puts down 612 PS (603 HP) and 900 Nm (664 lb-ft) of torque, sending the luxury saloon to 100 km/h (62 mph) in as little as 3.5 seconds. Mansory hasn’t released any official acceleration figures for the S63 Signature Edition, but they do reveal that top speed has been increased to an impressive 310 km/h (192 mph). Of course, there’s more to this tuned S-Class that just engine upgrades. On the outside, there’s a newly designed front apron with LED daytime running lights, a lightweight hood with integrated Naca nozzles, side skirts, carbon fiber mirror casings, a roof spoiler, rear spoiler and a rear diffuser. Then there’s the custom sports exhaust system, which according to Mansory, makes the Signature Edition S63 sound “throaty and imposing,” which we totally believe. As for the interior, it features a slightly redesigned steering wheel, aluminum pedals, leather-trimmed floor mats, embroidered emblems and a dual-tone blue-white leather combo on the seats and door panels. The car seen here was spotted in Monaco by Jsupercars recently, parked next to a Porsche Cayenne and a Ferrari. One could argue that the Mansory-tuned Benz stands out more than either of those two, for better or worse.